The series of sideboards is inspired by the wooden slate cladding found in modern architecture. With its geometric shape and horizontal slates, Array creates a strong visual effect from catching both light and shadow in the depth of the slates. The illusion of transparency is intended to create a feeling of growing curiosity as you get a glimpse of what is hidden behind the closed doors. 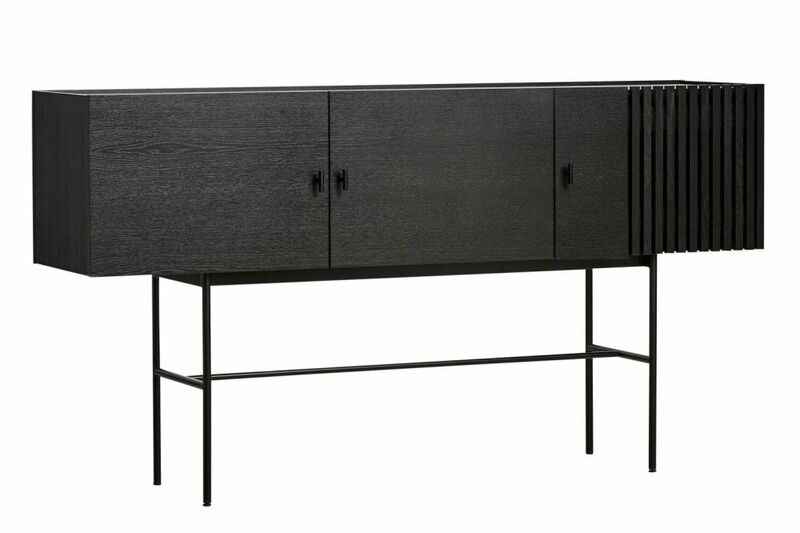 The sleek legs lift the sideboards from the ground creating an elegant contrast between the solid wooden cabinet on top and the thin metal construction underneath.